AbleGamers is a charitable organization that helps people with disabilities play video games. It was founded by Mark Barlet, who was inspired when his best friend was diagnosed with multiple sclerosis to start a blog on how to play video games with a disability. Then Steven Spohn, now the chief operations officer and community outreach director for AbleGamers, came on board and turned it into a charity. What’s so important about video games, you might ask? Don’t disabled people have other things they need more, like food or medicine? This question is answered right on the front page of the AbleGamers website: “We’re using the power of video games to bring people together, improving quality of life with recreation and rehabilitation.” Life is not just about surviving or getting by. Like able-bodied people, people with disabilities want to have fun—the ability to have fun is one way we measure quality of life. However, it is often (though not always) extra work for a disabled person to have fun. For example, I have to make sure I pack my medicine and my bathroom bag before I ever leave the house. I can’t do spontaneous plans because I need 24 hours to line up a ride service to get anywhere. It’s a lot of work. The AbleGamers charity wants to take away some of that work and to help people with disabilities enjoy a recreational activity that many gamers take for granted. Many people’s hands work fine, but that’s not the case if you have one of many disabilities that can affect them. Sometimes you are paralyzed and can’t use your hands at all. Sometimes you can only use one hand. Sometimes your arms spasm out of control or your hands lock in vice-like grip. In my case, with arthritis and dwarfism it hurts to play for too long, and my hands are so small that most controllers are hard to maneuver due the amount of space between buttons. To find out exactly how AbleGamers works, I got in touch with them and explained how my personal disabilities have hindered my gaming life. To show how much of a geek I truly am, I have always wanted the title of “gamer,” but I didn’t think my game play was good enough to earn such cred. This was the dilemma I presented to the foundation. Within two days of contacting them, I got both an email and a phone call, and I chose to email back Steve Spohn. I told him I was emailing both to get a system set up for myself and because I wanted to do a writeup of this worthy charity. He was happy to answer my questions for the article, but his main goal was to make sure I had what I needed to enjoy gameplay. We set up a Skype meeting so I could show him my hands and let see what he thought would be the best fit. He made quite a few suggestions in various price ranges—there were speech programs, a sphere, a glove, and many other choices. He said we would start with their standard options, and if nothing worked we might have to go to a custom build. 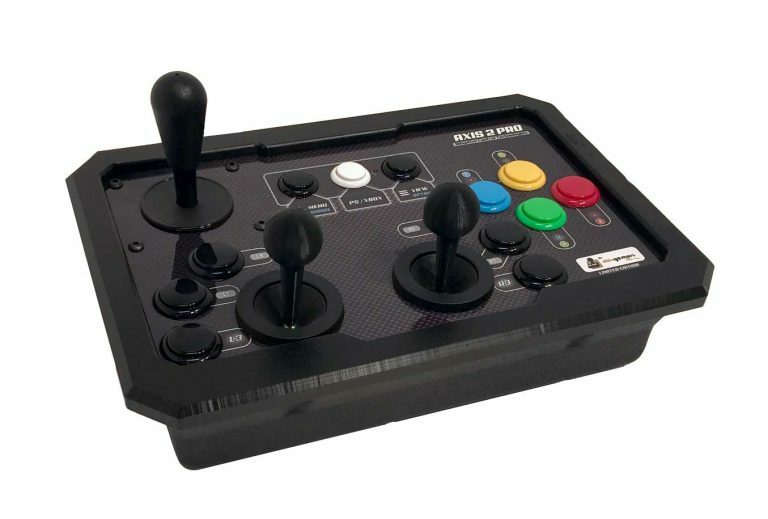 We decided on of their recommended arcade units, the Axis 2 Pro, which is what they usually start everybody on. The price was very high. When I told Mark I didn’t have that kind of money, he said no problem—AbleGamers only asks for payment when the recipient can afford to pay. If not, they give the units away and only ask that you send a picture of yourself using it so they can show their backers that they do in fact make improvements in people’s lives. The unit arrived, and it was kind of like a lapboard for a wheelchair. As it turned out, it was way too big for me, so I it shipped it back. Mark and I stayed in communication about options, but in the meantime my boyfriend happened to find me the Hyperkin X91 Xbox controller, which Mark recommended to me around the same time. The X91 is smaller than other Xbox controllers and worked for my hands. 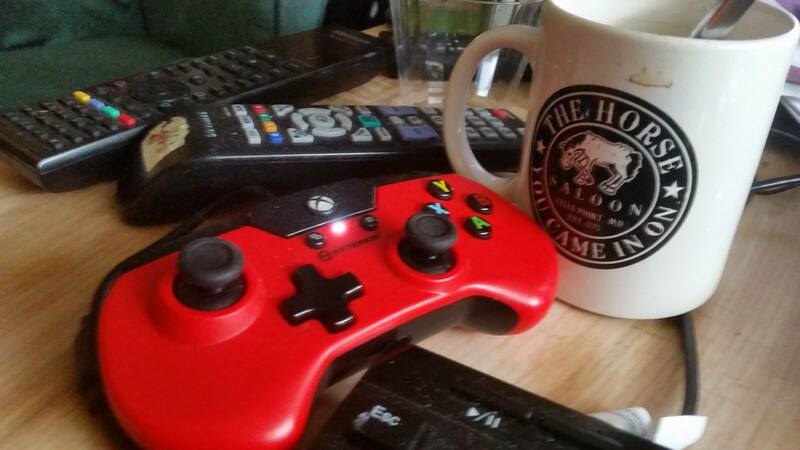 While AbleGamers ultimately did not directly find me a controller, they were part of my process and kept checking in with me. They will stick with you until you find something that fits. So, I would recommend this charity for anyone with a disability who would like to find a controller to play video games and get some fun out of life. You can learn more about AbleGamers on their website or follow them on Facebook, Twitter, or Twitch. Laura is a social-justice advocate, especially in the realm of disability justice, and a Tolkien aficionado only slightly less knowledgeable than Stephen Colbert. She attended seminary and intends on being a minister.